ComboInk is an online retailer of ink cartridges and toner refills from reputed brands such as Canon, Epson, Lexmark, Dell, IBM, Kodak, Apple and Compaq. You get the same level of quality, at the most affordable prices offered in the market, for all kinds of printer models existing. The cartridges are guaranteed to be efficient and to last for a long period of time. Sign up to get 15% discount coupon code and free shipping on orders above $50. ComboInk buy cartridges at wholesale prices from factory manufacturers and sell the printer color cartridges at unusually low cost at the online store. If you're interested in purchasing something from ComboInk, then you should try to couple your order with special savings. That's what we try to help consumers do here at Coupofy Coupons. If you search the site, you should find a list of special deals and discounts for you to use when shopping at ComboInk.com. Clicking on one of the offers will take you right to their official website, ready to save money. It also accepts PayPal payment. ComboInk also accepts eCheck as mode of payment. As far as shipping is concerned, UPS ground shipping and USPS priority mail are employed for delivery to different locations throughout the US. Standard shipping is available for shipments to 48 states and territories free of cost for orders in excess of $50. 2nd day and overnight services are not valid for APO/FPOs, US territories and P.O. boxes. All the international orders are subjected to external fees in terms of customs and taxes. USPS priority mail is employed for shipments to military addresses, Alaska, Hawaii and US territories. Economy shipping is available at a minimum charge of $3.99. All the shipments to Canada are done through USPS International and UPS standard shipping. 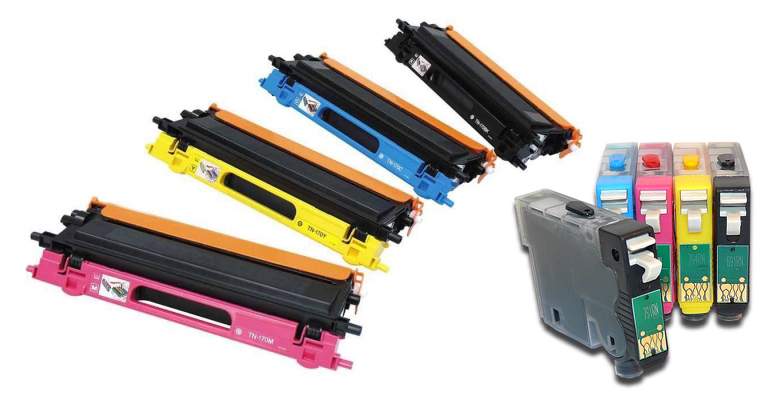 All the compatible cartridges, including the toner should be returned within a period of 365 days from the date of order. Once a return authorization number is issued, the item must be sent back within 45 days for refund of the full amount or cartridge exchange. Shipping and handling charges are not refundable. You can expect the refund amount to reflect on your account within 2-5 working days from the date of processing. In case you send across a non-defective item, you’ll have to bear a 15% restocking fee, unless you opt to be paid back in store credit.